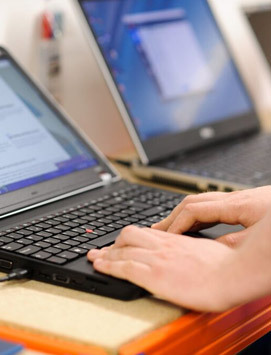 Protect important files and all business reports with reliable backup and data recovery services. Remote monitoring, cloud and onsite solutions tailored to you. So you walk into the office, turn on your PC and go to open the 25 page report you were working on last night to do the final edits prior to a crucial meeting…only it’s gone. Never mind you think, I’ll just retrieve it from my back up. Only your back up isn’t working and hasn’t been for some time. Oh dear. Or worse still, you turn up for work and your office is a pile of smouldering ashes. Everything gone, including your diligently backed up data, stored ON SITE! Sorry to burden you with these scenarios but one of the greatest challenges regarding back ups, is that unless you have a Plan B you’re business could be seriously at risk. Here at Woodstock one of our key responsibilities is to make sure your data is securely backed up at all times. Back up should be a priority for any business storing data of any kind and should be planned, tested and checked to ensure total peace of mind. Hard drives can fail – fact. When they do your first resort is your back up solution, for all other situations Data Recovery could be your route to rescue. 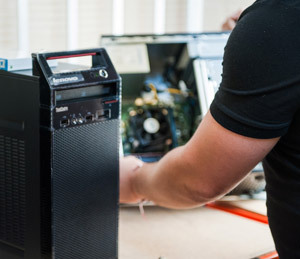 Data Recovery is essentially taking your hard disk, remounting into a new drive, rebuilding the drive and then using specialist software to extract the data. Whilst we cannot guarantee full or even partial recovery we have achieved some business saving results for our customers who previously considered all hope lost.